Maureen Grogan’s family challenged her local Primary Care Trust’s (PCT) decision to deny her Funded Nursing Care. In January 2006 she won her case. Like the Coughlan Case, the Grogan Case has given families who are pursuing NHS Continuing Healthcare further clout in their legal argument. Challenging the NHS can be a hard fight, and it helps enormously to be able to refer to and take courage from people who have already succeeded. As with Pamela Coughlan, Maureen Grogan and her family also deserve our immense gratitude. The judgment in the Grogan Case in the High Court for England and Wales showed that the criteria used by the NHS in their care funding decision had been “fatally flawed” and that Maureen Grogan’s should not have had to pay for her own care. At the time Maureen Grogan, 65, was chronically ill with multiple sclerosis and additional health needs, including dependent oedema and the associated risk of ulcers. She had nil mobility, was totally dependent and also experienced cognitive impairment. She was in a Nursing Home and she had already had to sell her house to pay for care. The NHS had care assessed her three times as ‘ineligible’ for NHS Continuing Healthcare – even though the care assessments showed she had substantial health needs. She was receiving the (then) top band of Funded Nursing care (FNC) – also known as Registered Nursing Care Contribution (RNCC). The Grogan Case came after the landmark Coughlan case and relied heavily on the legal argument that came out of that case. The final judgment in the Grogan Case found that Maureen Grogan’s local NHS Trust (Bexley) had moved the goalposts in terms of defining her level of need – with the result that Maureen Grogan had repeatedly been found ‘ineligible’ for NHS care. The judge ruled that the NHS should pay for her care. The PCT had not followed the Coughlan Test in it’s decision-making process. Since the Grogan case, new national guidelines about NHS Continuing Healthcare funding have been drawn up in an attempt to make things clearer. However, despite this, tens of thousands of elderly people with health care needs as their primary need are still being forced to pay for their own care. 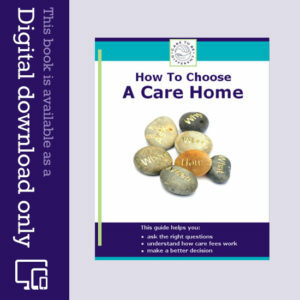 Find out how Care To Be Different can help. Read about the Coughlan case. 1. What view did LA s worker take ? At 150 I think this is not part funding but fnc which you only get if found Ineligible for CHC. IMHO fnc is a sop to stop people asking for more in case they loose the little they have. Back in May 2012 i claimed retrospectively payment for my late mother who passed away in November 2005 She had severe Dementia and had been in a care home since May 2003 and we had to sell her home to pay the £30,000 pounds carehome fees. The most recent response from the CCG is her assessmemt records were destroyed in 2013 nearly a year after i first claimed .I’ve in contact with the ombudsman and still waiting for a result some 5 years of dispute .I suppose the message is don’t let them grind you down. After 27 years of meeting the criteria for Continuing Healthcare (CHC) our disabled adult son in 2009 was found to be ineligible to receive CHC. In 2011 the same happened. In 2012 he was assessed when we moved by social services and because our sons injuries were caused by medical negligence at birth they sent a legal letter demanding to see his Trust Deed. He was not assessed by the new CCG until 2014 when yet again his health needs were consistently downgraded. I found your book last year and have read every page of it several times. I asked for a CHC assessment April 2016 which was done 11th July 2016 and yet again he was considered ineligible . One of the questions was does your condition affect you emotionally and psychologically they said he was not. The nurse assessor was not qualified to give an opinion on this question and our son has not been assessed as to how his condition affects him. I used your book and raised a complaint in August 2016, after the letter was read out to him again saying he did not meet the criteria he asked me to let him die. I made a complaint to PALS as well as CCG and another assessment was carried out where he met the criteria for a full MDT. This takes place next Tuesday. I have copied your 9 comments on the Couglan and Grogan cases so I can read them if necessary. The Nurse assessor and social worker have both never assessed our son or even met him. It says it should be done by professionals involved in your care. If there is any advice you can add I would be grateful as son cannot do anything for himself having quadriplegic spastic cerebral palsy. Having just received outcome of MIL’s local appeal (why do the always time these things to arrive at the weekend) guess what…. “because her conditions are stable and predictable and in line with that expected for her illnesses she doesn’t qualify” they go on to use the DST as a decision making tool. In short either negligence and incompetence to the Nth degree or fraud and collusion. Ok where next well appeal to NHS England ( how many years !) A formal complaint to CCG about failure to put a legal process in place and a reference to the Serious Fraud Office. about the local and National approach ….. so there goes the rest of the weekend. Christine – Did the reduction in the care package happen after a proper review? Also, if can you include the actual content of paragraph 167 in your reply, others may be able to respond to you and help you more easily. Thanks. Only just read this but it sounds as though now that ‘ the needs ‘ have been met the assessors have withdrawn funding as the person has been assessed on ‘ met needs ‘ which is unlawful as a need is a need whether the need has been met or not. It is not that the person with needs has made a miraculous recovery. 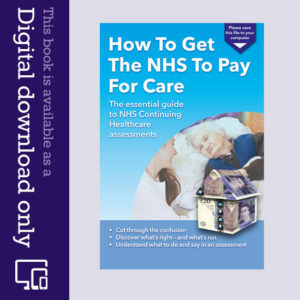 “CCGs should be aware of cases that have indicated circumstances in which eligibility for NHS continuing healthcare should have been determined, and where such an outcome would be expected if the same facts were considered in an assessment for NHS continuing healthcare under the National Framework (e.g. Coughlan or those cases in the Health Service Ombudsman’s report on NHS funding for the long-term care of older and disabled people). However, they should be wary of trying to draw generalisations about eligibility for NHS continuing healthcare from the limited information they may have about those cases. There is no substitute for a careful and detailed assessment of the needs of the individual whose eligibility is in question.” Am I reading right? I thought the whole Framework thing was about the two cases in question. I am trying to obtain continuing health care. I am a C5/6 complete spinal injury and I am facing barriers with my health authority. I live at home in Sutton Surrey. I have autonomic dysreflexia which occurs often. My care needs are similar to the Coughlan case.